FEA understands the unique requirements of our government clients because many FEA professionals come from government agencies. 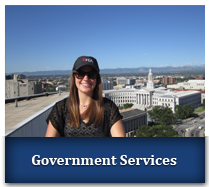 FEA has decades of experience managing facility organizations and many have served as government contracting officers. FEA is a General Services Administration (GSA) Schedule contractor. Texas, Colorado, Maryland, Virginia California, New York, New Jersey, Wyoming, South Carolina plus many more. Counties include Fairfax, Montgomery, Prince William, Sonoma, Anne Arundel, Garrett, Mecklenburg and many more. Cities include Arlington, District of Columbia, Santa Rosa, Dallas, Oletha, Fort Worth, Austin, Ysleta, Denver, and many more.